Less than a month from his highly anticipated rematch with Canelo Alvarez, Gennady Golovkin told reporters recently that the reason he was insistent on fighting on Cinco De Mayo against Vanes Martirosyan was the fans. 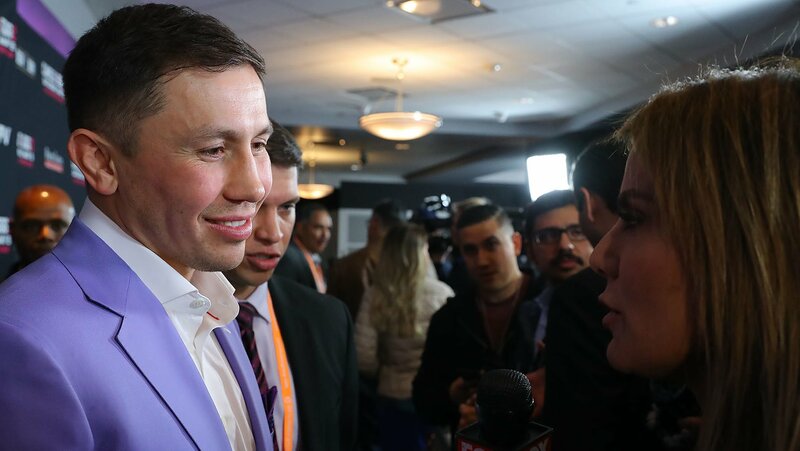 “When it became clear Canelo would not be allowed to fight on May 5 because of his failed drug tests, my priority was to keep my fight on Cinco De Mayo,” Golovkin said leading up to the premier of Canelo/GGG 24/7.” Cinco De Mayo is a huge date for boxing. It is a boxing holiday. I did not want to let the fans down. I also wanted to stay active. And I like headlining boxing events on Mexican holidays. It brings out the best fans and the best in me,” Golovkin said. “I respect the sport of boxing and the fans around the world who support it. For me, it is always about giving fans an entertaining fight. That is why I fight Mexican Style which was taught to me by Abel Sanchez.